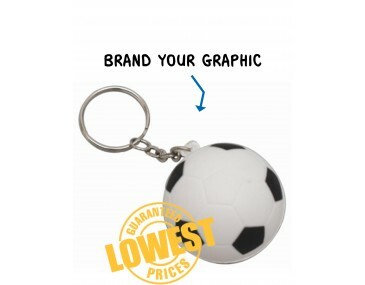 Soccer players and soccer fans will be delighted to receive one of these miniature balls at your next trade show, outdoor event or expo. They will be queuing up to get their hands on one of these fun balls. Not only are they cute and adorable, but they are also stress balls and can be squeezed, bashed and smashed around to relieve all that built up tension. They also attach to a key chain and key ring, making them extra useful and functional. These little balls are sure to find their way onto car keys, home and office keys around the country. Our ball is manufactured from a soft material that is flexible and strong and returns to its original shape after it is squashed. The design features a round ball covered in the iconic dark pentagons and light hexagons that every soccer fan knows. The dark and light panels contrast and give you ample space to showcase your company logo and graphics. Allow us to brand your image onto the balls, our listed price includes branding of your logo or graphic in a single colour print. Stress ball key rings are winners when you hand then out as freebies. They are ideal for any business operating in the sports industry, sports clubs, school and colleges or any business wanting to promote soccer in our country. 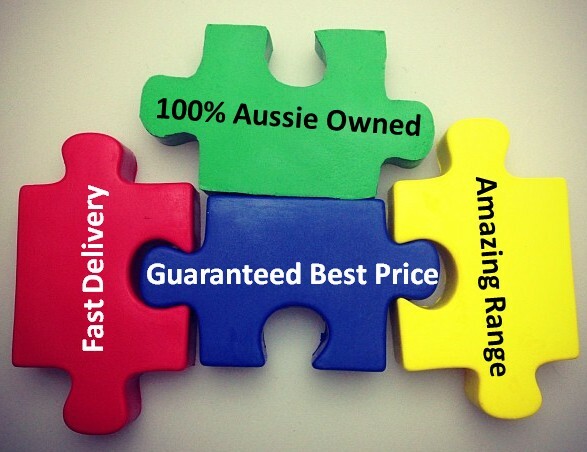 Please note that our prices exclude GST and a print set up of $75 applies.